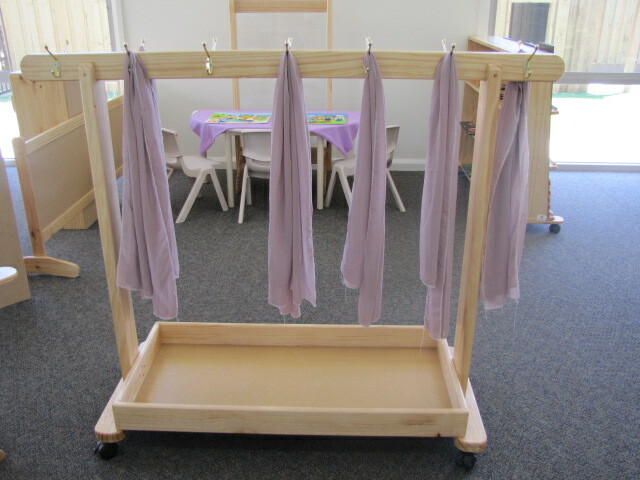 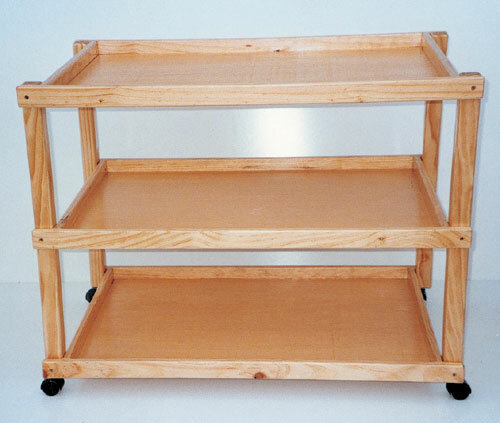 T. & P. Pre School Equipment choose quality grade pine to construct their trolleys which are then sanded to a smooth finish and double coated in clear lacquer to give a quality finish and to enable easy clean up of any paint/food mess. 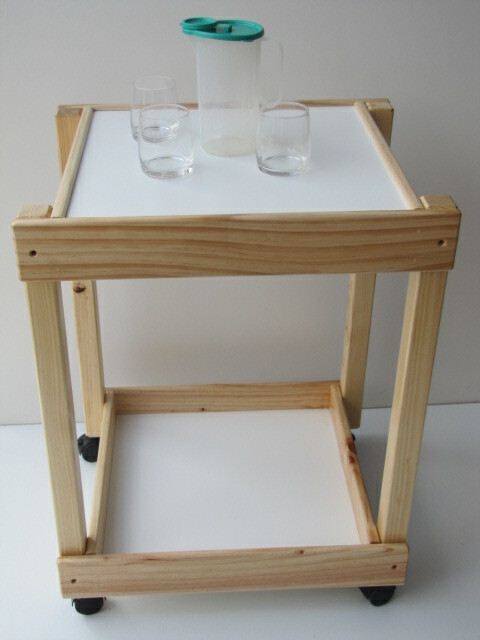 Trolleys come fully assembled, a solid construction that are screwed and glued – no kits. 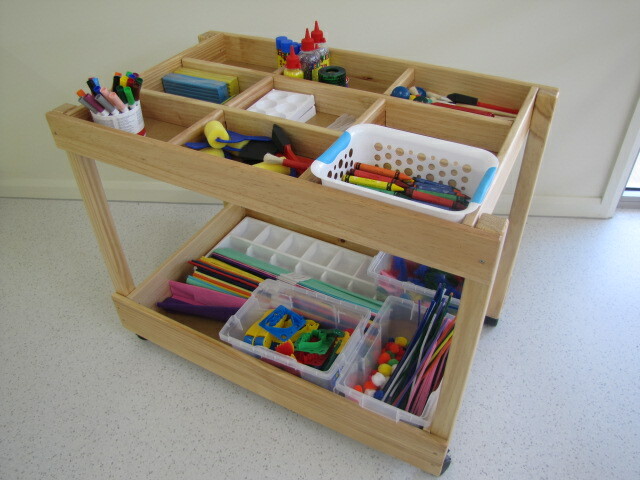 Trolleys are an essential piece of equipment, they make the running of a Centre easier and as such an important aid they are built to withstand many years of constant use. 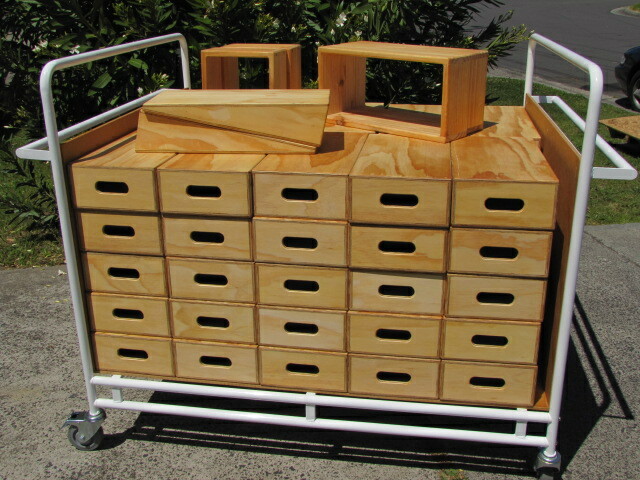 All trolleys are fitted with lockable heavy duty castors.